We kicked off this years Information Worker Cape Town Community Night with the launch of TenTonPotato. 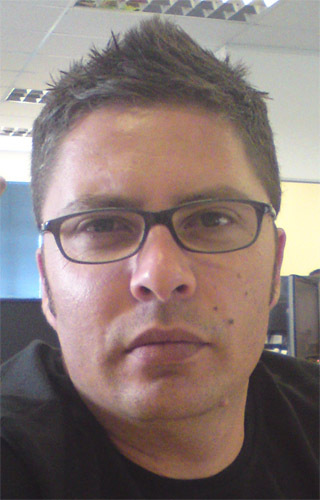 TenTonPotato, the brainchild of Bradley Geldenhuys, Owner of the now infamous MetroUI styled, public facing internet SharePoint site and ECM company GTConsult, serves to provide the IT community with information about Technology in a format that has not been seen in the IT industry. Many have tried to make a success of presenting technology to a non technical audience and have failed as all the “techie” comments are lost in the translation. TenTonPotato’s presenters are Bradley @bradgcoza, Marc @Marclenferna, Craig @craig_tarr and myself @AlistairPugin. More to follow on this as we are wrapping up the post production recording of the event. The site should be going live in the next month or so and we’ll be covering more events in the following weeks so stay tuned and follow either of us on twitter for updates. Community night kicked off with the Nokia Lumia launch held at the CTICC recently which was covered by Brad and Craig. Craig, who still owns one of the first Nokia Smartphones was hoping to trade it in for a newer model but alas, he failed horribly. The second segment was focused on Collaboration. We were each given tasks based on various devices to test the capabilities of how mobile, in the cloud and desktop applications fared against each other. It was a close matchup, but in the end Office365 with its Lync integration won. No surprises there. Note: IWCPT community nights will not be held in this format and we will be going back to the usual, 2 session, tech/dev/business type nights that we’ve always had over the last few years. Thanks to those who attended. We have a good laugh at the commentary delivered by the presenters. Community Night is on the last Tuesday of every month at Microsoft’s offices in Pinelands. Microsoft kindly provides us with food and drink so that you are not left hungry or thirsty, so come along for the next one.